We always aim to deliver the most efficient and affordable transcription services and solutions possible. We know that cost is often the deciding factor when budgets are tight and difficult decisions have to be made. We like to offer our clients the best value for their money! Not every cheap transcription agency offers our level of care. It's important to choose the transcription service provider that fits your needs best in terms of price, speed, accuracy, and customer support. GoTranscript has 11 years of experience working with transcriptions. As we care a lot about the quality of our services, we will present you with a transcription only when we are sure it is of the highest quality. Learn about our high accuracy. We understand our clients’ needs and we provide our services for an affordable price and in a short time. Even though we have one of the lowest prices, the quality of the transcripts remains top-notch. People who use our services once usually come back for more. That is because we offer really good prices, professional quality and quick turnaround time. 20% discount for students and professors. GoTranscript offers cheap transcription services in all fields, to meet clients' requirements. 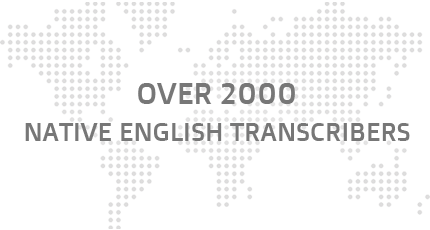 We also provide cheap transcription services for students with 20% discount!